28ct. 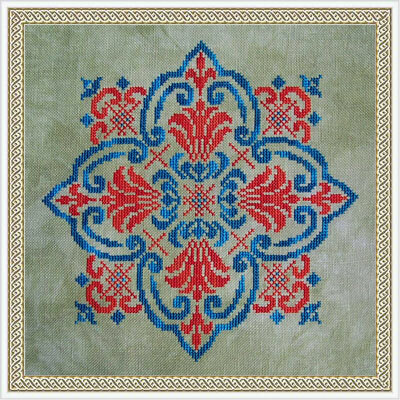 'Pickled' cashel linen (stitched 2 over 2) from Picture This Plus. Stitched with ThreadworX hand overdyed threads #11382 'Blue Swirl' and #1097 'Devilish'. Stitch count is 113 w x 113 h.